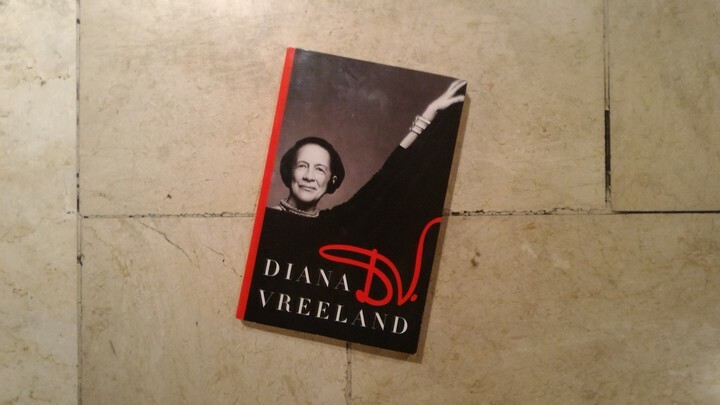 I spent the whole day today finishing D.V., the delicious memoirs of Diana Vreeland, the editor-in-chief of Vogue from 1963 to 1971. Under her tenure, the “Empress of Fashion” injected fantasy and culture into the magazine, flying around the world to give readers a sense of wonder. I thoroughly enjoyed this autobiography, where she talked endlessly about her obsession with colors, jewelry, history, travel, horses, and style. There’s a difference between fashion and style, and you have to read this book to understand. As Vreeland imperially declared, “A new dress doesn’t get you anywhere; it’s the life you’re living in the dress.” She inspired me to allow my “eye to travel,” which is also the title of the documentary on her. My July-August issue of Monocle came in the mail on Friday, and I’m hoping to get a crack at it this week. I also have the June issue of Rogue, as well as the April issue of Vanity Fair. Plus some back issues of random magazines. Again, I’m writing my stories for WheninManila.com. My co-editor Rebecca suggested I write a thought piece about Ian Mead King transitioning to Angelina and I’m thinking of doing it! I like how Angelina’s wife Joey stayed with her even after she transitioned four years ago, because an Invisibilia podcast (titled “The Power of Categories“) had a similar story, where the wife eventually left her husband (now wife) after a few years. I also want to write a personal essay on change, in light of everything that’s happening to me at work and in my personal life. My go-to song this week is Erasure’s “A Little Respect.” I don’t know why, but I suddenly remembered that scene in Looking. Earlier this week, I watched The Eye Has to Travel, the divine documentary on Vreeland. I also watched Finding Dory last night with my good friend Anjo, and I thoroughly enjoyed it. I was teary-eyed at some scenes. I watched it at Uptown in BGC, which I visited for the first time. I fell in love with the warm atmosphere, the generous use of wood in its interiors, and the Vito Selma Twist lamps. I’m also watching the first season of Hey Arnold! I got nostalgic after writing an article about an upcoming made-for-TV movie. It’s supposed to explain how Arnold’s parents disappeared. And everyone will be there! Thinking about the time I spent with Anjo. He read his poetry to me past midnight outside a hidden bar in Makati. I was intoxicated with his words, the sound of cars passing, the footsteps of pedestrians, and this really weird cocktail. I’m also thinking of switching to Safeguard soap. I’ve used Dove forever but I’m starting to appreciate how clean I feel when I use Safeguard. The divine smell of Malagos Chocolate’s 72% dark chocolate bar. I had a lot of it this week. On Thursday, I had an iced chocolate drink drizzled with powdered Malagos chocolate in Habitual while waiting for my friend Melvin. After checking out the new exhibit at Vinyl on Vinyl Gallery, we had dinner at Toyo Eatery, where the dessert was a praline dusted with the same chocolate and draped with patis, or fish sauce. Wishing that I could come to a decision about some work stuff. I’m at a crossroads right now and I want to figure out where I should go. I’m supposed to write a pros and cons list, but Vreeland kept me glued to my bed. That I would find my way soon. I’m loving Teo Esguerra’s mixed media collages at Vinyl on Vinyl. 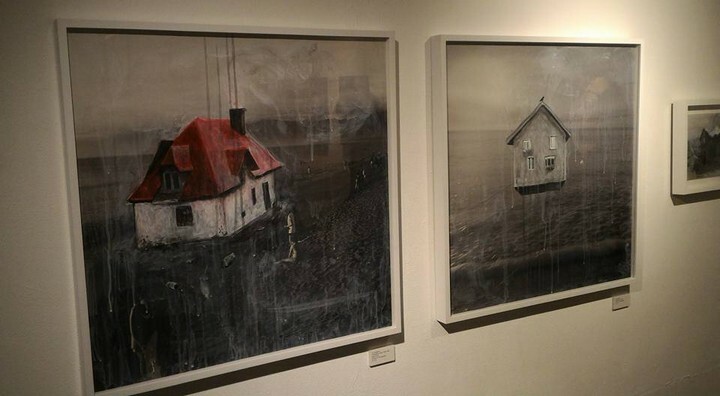 There’s something wistful about his beach scenes with houses superimposed on them. Please check it out? 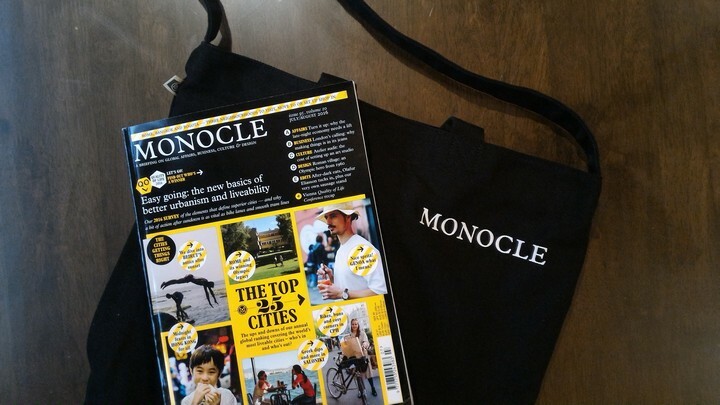 The first issue of my one-year subscription to Monocle arrived, and it came with a beautiful tote bag. I had buyer’s remorse when I subscribed because it’s quite pricey and I had a feeling that the bag would be of cheap quality. After all, it is free. But the material is strong and it looks very, very elegant. And I’m happy that my first issue is the annual survey of most liveable cities – my favorite! To start reading F.H. Batacan’s Smaller and Smaller Circles, which is currently being adapted into a movie by Raya Martin (and starring Sid Lucero and Nonie Buencamino!). It’s about two Jesuit priests who investigate a series of murders, where boys’ bodies are dumped in Payatas. It won the Palanca Grand Prize for the Novel in English in 1999. To catch up on my articles for WheninManila.com. But I’m happy because I already have my unique weekly article (about Bohol being ready to reclaim its spot as a top tourist destination), so I have one less thing to worry about. Refreshed. My last few weekends were packed with work, so I’m happy to have had enough time to rest. A part of me is thinking that I’m just burnt out and that I only need to stay still. 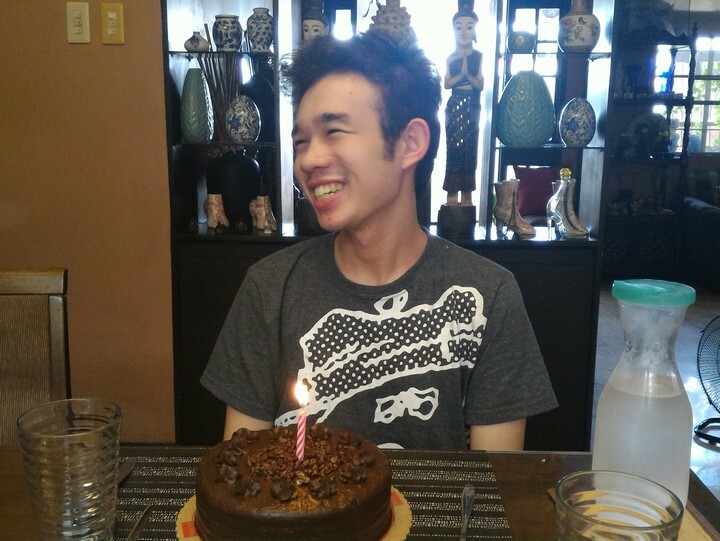 I didn’t go to work two days this week, and I was able to spend time my brother, who celebrated his 18th birthday on Tuesday. On the flip side, I’m happy that I’m putting myself out there instead of allowing myself to fade into the background. I have a hard time opening up to people but I’m hoping to change that! 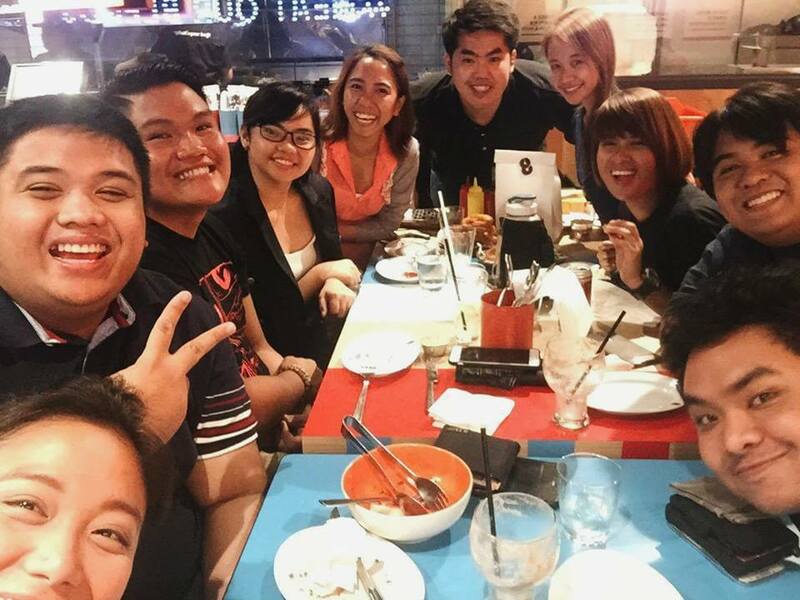 Last Friday, I went out with my officemates to grab dinner at 8Cuts (our default eating place) and wine at Ralph’s, where I stayed until 2am. I did a lot of talking. This article about a psychiatrist who does consulting work for exorcists. According to him, his role is to meet possessed people and see if they are mentally ill, or are suffering from something that cannot be explained by science. I also like Smart’s new commercial about a gay man who comes out to his father. It’s touching and is not something you see in Philippine advertising every day. Then this excellent roundtable discussion on the perils and pleasures of online journalism, as told by the editors of said websites.